In the late 1800s, handsome, wealthy New Englander, Magnus Blackwell, is the envy of all. When Magnus meets Jacob O'Connor–a Harvard student from the working class–an unlikely friendship is forged. But their close bond is soon challenged by a captivating woman; a woman Magnus wants, but Jacob gets. Devastated, Magnus seeks solace in a trip to New Orleans. After a chance meeting with Oscar Wilde, he becomes immersed in a world of depravity and brutality, inevitably becoming the inspiration for Dorian Gray. Armed with the forbidden magic of voodoo, he sets his sights on winning back the woman Jacob stole from him. Amid the trappings of Victorian society, two men, bent on revenge, will lay the foundation for a curse that will forever alter their destinies. “We all saw different spirits,” Emily surmised. “How is that possible?” Katie rose from Jacob’s side. “We each saw the person we wanted to see. The person we felt most connected to on the other side.” She came around the table to Magnus, grinning like a proud peacock. “Do you still doubt my abilities?” “No.” Magnus blew out a long breath. “I think we should not do this again, though. I got the impression what happened tonight may be only the beginning.” “The beginning of what?” Emily pestered. Magnus straightened his coat as he turned for the door. “Something very dangerous.” *** Excerpt from Blackwell by Alexandrea Weis with Lucas Astor. Copyright © 2017 by Alexandrea Weis. Reproduced with permission from Alexandrea Weis. All rights reserved. Alexandrea Weis, RN-CS, CRRN, ONC, PhD, is a multi-award-winning author of over twenty-seven novels, a screenwriter, ICU Nurse, and historian who was born and raised in the French Quarter of New Orleans. Having grown up in the motion picture industry as the daughter of a director, she learned to tell stories from a different perspective and began writing at the age of eight. Infusing the rich tapestry of her hometown into her novels, she believes that creating vivid characters makes a story moving and memorable. A permitted/certified wildlife rehabber with the Louisiana Wildlife and Fisheries, Weis rescues orphaned and injured animals. She lives with her husband and pets in New Orleans. Weis writes mysteries, suspense, thrillers, horror, crime fiction, action, historical, and romance. She is a member of the Horror Writers Association and the International Thriller Writers Association. Catch Up With Alexandrea On: alexandreaweis.com, Goodreads, Twitter, & Facebook! 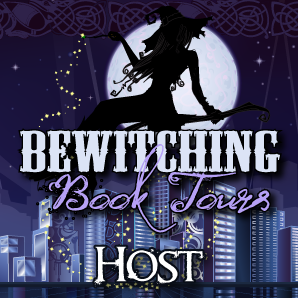 This is a rafflecopter giveaway hosted by Partners in Crime Virtual Book Tours for Vesuvian Books. There will be 2 winners of one (1) Amazon.com Gift Card each. The giveaway begins on February 1, 2019 and runs through April 1, 2019. Void where prohibited. The synopsis is intriguing, so much so, tht I have this now on my list to read. I would love to get on her list but I'm at her web page and can't find any place to enter my email addie. Sorry about that, Nora. I am working to get that fixed on my website.